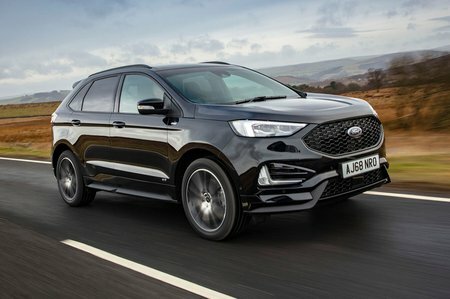 Ford Edge Interior, Sat Nav, Dashboard | What Car? The Edge has that lofty seating position that SUV buyers love. It doesn’t give you the best all-round visibility, though; the windscreen pillars are fat at their base and the huge rear pillars wrap around to reduce the width of the rear screen. It’s a welcome relief, then, that front and rear parking sensors and a rear-view camera are standard across the range. LED headlights are also standard; these are upgraded to adaptive units on the Vignale trim. With so much adjustment on offer it’s hard to imagine anyone finding fault with the Edge’s driving position. The steering wheel offers lots movement for height and reach, while the seat has 10-way electric adjustment, including four-way adjustable lumbar support. The dashboard buttons are easy to reach, but some are quite small and take more than just a quick glance to decipher; this can be distracting when you are driving. There’s also a dizzying array of controls on the standard multi-function steering wheel, and a multitude of menus on the 12.3in digital instrument display. The standard infotainment system is no more straightforward. The picture on the 8.0in touchscreen is sharp enough, but many of the icons are small and some of the menus are confusing. It’s no worse than the Peugeot 5008’s infotainment system, but not as good as the Mazda CX-5’s and a long way behind the best, such as the BMW X3’s iDrive or Audi Q5's MMI. 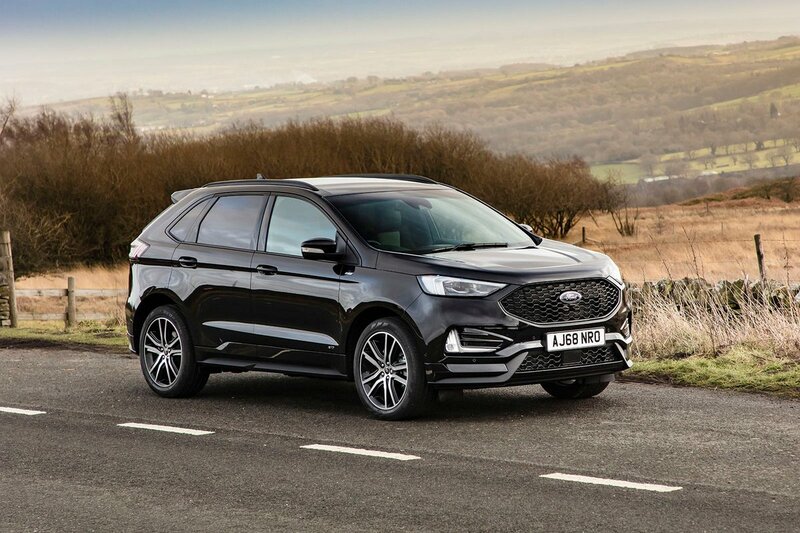 You do get plenty of functions, though, including sat-nav, Apple CarPlay and Android Auto smartphone mirroring on all versions, while ST-Line and Vignale models feature a punchy 12-speaker, 1000-watt B&O sound system. 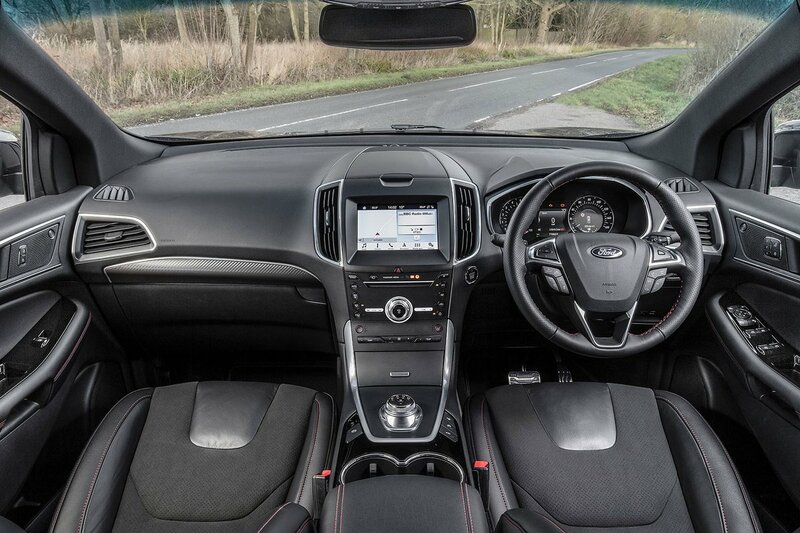 For a car that is claimed to compete against premium rivals, the Edge’s interior feels old hat. Its design looks antiquated for a start, and cheaper rivals, such as the CX-5 and 5008, knock it for six in terms of quality and finish. And next to the plush Audi Q5, the Edge’s low-rent plastics and flimsy-feeling switches are miles behind the curve.